Why are you called “Old” Roman Catholics? In 1145 Bl. Eugene III granted the Cathedral Chapter of Utrecht the perpetual right to elect their own bishops. In 1215 the Fourth Lateran Council (Canons 23 and 24) confirmed this privilege. In In 1520, Pope Leo X decreed in his papal bull [Debitum Pastoralis] that the Bishop of Utrecht, his successors, his clergy, and his laity should never be tried by an external tribunal of canon law. If any such proceedings did take place they were null and void. Then in 1691, the Jesuits falsely accused Archbishop Peter Codde, the occupant of the See of Utrecht, of favoring the so-called Jansenist heresy. (We say so-called Jansenist heresy because no one has ever yet succeeded in finding the repudiated heretical statements, either in substance or in form in the, “Augustinus” of Bishop Cornelius Jansenius, where the Jesuits pretended to have discovered them.) Despite the Archbishop’s proved innocence of heresy, the influence of the Jesuits was so great that they persuaded the Pope to issue a secret brief suspending and deposing Archbishop Codde. Neither the names of his accusers, nor the charges made against him were ever made known to him, nor was he permitted to offer any defence. All this happened despite the special privileges granted the See of Utrecht. This created a breach which was never healed, though Pope Clement XIV was favorably disposed towards the grievously wronged Church of Utrecht. Despite the repeated requests and affirmed desire of the See of Utrecht to reach a canonical solution of the breach, in 1853 Pope Pius IX established another Roman Catholic hierarchy in the Netherlands. This existed alongside that of the original Roman Catholic See of Utrecht. Thereafter in the Netherlands the Utrecht hierarchy was referred to as the ‘Old Roman Catholic Church’ to distinguish it from those in union with the Pope. In the mind of the Holy See, the Old Roman Catholic Church of Utrecht had maintained Apostolic Succession and its clergy thus celebrated valid sacraments in every respect. This Church is called OLD because it rejects Modernism and every recent innovation of doctrine while adhering faithfully to the doctrine and discipline of the Church of Apostolic times. She is called ROMAN because the line of her Apostolic succession from the first century until 1739 was held in common with the Roman Catholic Church and also because she uses the Roman Rite without addition or change, employing the Pontificale, Missale and Rituale Romanum with great care and exactitude as to matter, form and intention in the administration of the seven Sacraments. The Church is CATHOLIC because she is not confined to any one nation or place or time, but ministers to all men, in all places, for all time, teaching the same Faith once delivered by her Founder, Jesus Christ, to the Apostles. Are you connected in anyway with the Utrecht Union of Old Catholic Churches? In 1870, Dr. Ignaz von Dollinger brought the “Old Catholics” into being to offer resistance to the dogma of Papal Infallibility. In 1873, the Old Roman Catholic Church of Utrecht was prevailed upon to provide these “Old Catholics” with a bishop in 1889, and an amalgamation took place between the Church of Utrecht and the “Old Catholics”. Though Utrecht was eventually to abandon Old Roman Catholicism, the Church was not to perish. Archbishop Arnold Harris Mathew of England was consecrated to the Episcopate by Archbishop Gerard Gul of Utrecht at a time when Utrecht was still truly orthodox (1909). At the time of Archbishop Mathew’s consecration at Utrecht, no serious inroads had been made upon the Catholic Faith by the Church of Utrecht, nor had she yet departed in any way from Catholic traditions and practise. But by the end of 1910, however, the heterodox influence of the “Old Catholics” had proved too much for Utrecht and had overwhelmed her, and so great and far-reaching were the changes which she was prevailed upon to make in her formularies and doctrinal position, that on December 29, 1910, Archbishop Mathew was forced to withdraw the Old Roman Catholic Church in England from Communion with Utrecht in order to preserve its orthodoxy intact. What is the difference between Old Roman Catholicism and Old Catholicism? The honest inquirer must be cautioned not to confuse the Old Roman Catholic Church with those groups calling themselves “Old Catholic.” Much which, in this age, calls itself “Old Catholic” represents some compromise with Protestantism, or in wider digression, with such non-Christian cults as theosophy. Old Roman Catholicism has no affiliation with such groups as the Polish National Catholic Church, or the Utrecht Union of Churches, the Liberal Catholic Church, the Old Catholic Churches of the Continent or any of the various independent groups which abound in the United States and elsewhere. The heterodoxy of these groups makes union with them impossible. Old Roman Catholicism, as Archbishop Mathew (who preserved it after the apostasy of Utrecht) rightly understood it, was different from Modernist influenced Old Catholicism in the retention of ancient doctrines, formularies and praxis, yet different from Roman Catholicism by that same retention of the Catholic Faith as it had “always been believed, everywhere and by all” (St Vincent Lerins) without the additional dogmas decreed by Rome. Old Roman Catholicism is a continuation of the true Catholic Faith that had always existed in the West akin to that Faith which the Orthodox Catholics had also maintained since the divide between East and West in 1054. To this end, Archbishop Mathew successfully approached and achieved communion with the ancient Apostolic Sees of Antioch and Alexandria (Orthodox Patriarchates). This intercommunion was the first real healing of schism between Eastern and Western jurisdictions and was based upon the mutual recognition and maintenance of the ancient Faith of the Church. 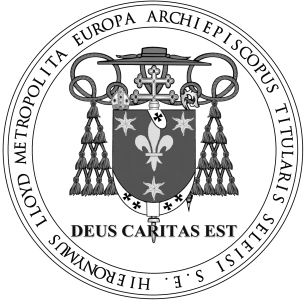 The canonical dispute between the Holy See and the See of Utrecht about whether the Ultrajectine See could elect its own Bishops was never canonically i.e. legally, concluded (Bl. Pius IX ignoring due process and erecting an uncanonical hierarchy in Holland in 1853). Thus, it is only just according to Canonical principles to assume that the inalienable right granted by Papal Bull of Bl. Eugene III is still extant and in effect. The rightful Archbishop of Utrecht (Gerardus Gul) in 1909 consecrated and commissioned Arnold Harris Mathew as a Bishop in accordance with the norms of universal ecclesiastical law. When the See of Utrecht fell into ‘apostasy’ in 1910, Bishop Mathew justifiably declared autonomy from the Ultrajectine See on December 29th 1910 and justifiably claimed her canonical rights and prerogatives for the continuation and perpetuation of the Old Roman Catholic Church from Utrecht. On August 5th 1911, [now] Archbishop Mathew was received by His Eminence the Most Reverend Archbishop Gerasimos Messara of Beirut, Syria into the Holy Synod of the Orthodox Patriarchate of Antioch and All the East and intercommunion was established between the second most ancient See of Christendom and first “cathedra” of the Apostle Peter and the Old Roman Catholic Church recognised as an “autocephalous” i.e. self-governing, jurisdiction. This occurred similarly with the Patriarchate of Alexandria in 1912. Thus making the Old Roman Catholic Church a Canonical entity in both the Western and Eastern Catholicates. Thus the term “Episcopi Vagantes” ought not justifiably be applied to the Old Roman Catholic Church, in all her duly constituted and canonically governed ecclesial communities around the world, nor particularly her Bishops. The Old Roman Catholic Church is a recognised autocephalous and canonical ecclesial entity equal to any other so recognised Church of the East and has a legitimate claim to Canonical status within the Latin Rite. What is the difference between Old Roman Catholicism and Roman Catholicism? Contemporary Roman Catholics believe in the Immaculate Conception [Ineffabilis Deus 1854], Papal Infallibility [Pastor Aeternus 1870] and the Assumption of Mary [Munificentissimus Deus 1950] Old Roman Catholics recognise these teachings as doctrine, not as dogma. In other words, Old Roman Catholics do not believe it is “necessary for salvation” to believe in these doctrines. The reason why not, is due to a difference in appreciation of the “deposit of Faith”, for Old Roman Catholics, the Catholic Faith was imparted whole to the Apostles and all that was “necessary for salvation” was given them and the Church by Christ [33AD]. Old Roman Catholicism, like the Eastern Orthodox, do not hold to a concept called the “development of doctrine” that modern Roman Catholicism uses to justify later dogmas like those given above. For Old Roman Catholics, the Faith today must be the same as the Faith yesterday and will be tomorrow, this is what we understand by “Apostolic Tradition”, that there is one deposit of Faith that cannot be added to or subtracted from. Like the Eastern Orthodox, Old Roman Catholics recognise that our understanding of doctrine may overtime become more comprehensive, i.e. an increased understanding, and this is how we interpret Christ’s words regarding the Holy Spirit to the Apostles “Yet when the Spirit of Truth comes, He will guide you into all truth…” (John 16:13) Yet, we believe that what Catholics were asked to believe fifteen hundred years ago and today, must be the same as that believed by the Apostles and first Christians. Old Roman Catholics recognise of course, that over time changes have been made to the externals of the faith (e.g. liturgy, devotions, habits, vestments, new feasts, Canons of ecumenical and regional Councils etc) in order to better express the same Faith to different cultures or generations, but the Faith itself cannot change. The Roman Catholic Church teaches that the Pope has “universal ordinary jurisdiction” everywhere in the world, in other words, that a Bishop is not the sole head of any diocese but is effectively an “agent” or “vicar” of the Pope. Indeed, Bishops can only be appointed with the approval of the Pope. Many are surprised to know that this is a comparatively modern understanding of the role of the Papacy, and has been Canonically so only since 1870. Old Roman Catholics believe that every Bishop in his own right is an Apostle of Christ, and as such has supreme authority for that portion of Christ’s flock entrusted to his care, the Bishop and his flock are “the Church” where they are; as St Ignatius of Antioch put it to St Polycarp of Smyrna, the Church of Christ is in the Bishop, his priests and deacons with the people around the Eucharist in the true Faith. All bishops and their flocks together so comprise the “Catholic Church”, or “The Church is in the Bishop and the Bishop in the Church” as St Cyprian of Carthage wrote. Even so, it has long been the practise of the Church to organise herself for administrative purposes so that a church or groups of churches may be led by a Bishop, a Metropolitan/Archbishop, but essentially there is only one Sacramental rank of Bishop – not many. All Bishops are equal. The Pope then, as Bishop of Rome may historically have had authority to govern many churches as a Patriarch, but he is still only a Bishop and thus only the “first among equals” of his brothers in the Episcopate. The Holy See and the Orthodox Patriarchates are currently establishing what the practice of authority was in the first millennium of the Church’s existence and how the Petrine Ministry (position of the Pope of Rome) was understood then within the context of the magisterium universally attributed to the first Seven Ecumenical Councils. Old Roman Catholics acknowledge the Bishop of Rome historically and spiritually as the Patriarch of the West and our priests pray for the Pope (with the Patriarch of Antioch) in the Canon of their Masses to express the desire for that unity which should exist amongst Western Catholics. With regard to this discipline, Old Roman Catholic clergy in common with our Orthodox brethren perpetuate the practice of the first millennium Church, thus they are permitted to marry before Ordination; clerical celibacy is considered a particular and individual vocation rather than an obligatory condition for the Sacred Ministry. Are you “schismatic” Roman Catholics? Old Roman Catholicism is not a sect nor schism as some of its self-constituted enemies may claim. Old Roman Catholics acknowledge the Bishop of Rome historically and spiritually as the Patriarch of the West and our priests pray for the Pope in the Canon of their Masses to express the desire for unity that should exist amongst Western Catholics. A thorough reading of history clearly indicates that Old Roman Catholics did nothing schismatically to warrant Pius IX’s institution of another hierarchy in the See of Utrecht in 1853, nor taught anything that was not always considered to be Catholic faith and practice. In 1145 Blessed Pope Eugene III granted the Cathedral Chapter of Utrecht the right to elect successors to the See in times of vacancy. This meant that, unlike most other Sees in the Roman Catholic Church, the Cathedral Chapter of Utrecht could elect bishops without permission or approval from the Pope. This had always been the practice in the early Church. In 1215, the Fourth Lateran Council (Canons 23 and 24) confirmed this privilege. Another significant right granted the Church of the Netherlands was its immunity from prosecution by Roman Catholic courts of canon law constituted outside the See of Utrecht. In 1520, Pope Leo X decreed in his papal bull Debitum Pastoralis that the Bishop of Utrecht, his successors, his clergy, and his laity should never be tried by an external tribunal of canon law. If any such proceedings did take place they were null and void. This extraordinary right had been granted by Pope Leo X at the request of Philip of Burgundy, who was the reigning prince-bishop of Utrecht at the time. In 1691, the Jesuits falsely accused Archbishop Peter Codde, the occupant of of the See of Utrecht, of favoring the so-called Jansenist heresy. We say so-called Jansenist heresy because no one has ever yet succeeded in finding the repudiated heretical statements, either in substance or in form, in the Augustinus of bishop Cornelius Jansenius, where the Jesuits pretended to have discovered them. Archbishop Codde was ordered to stand trial in Rome despite the special privilege and Papal dispensation from such a trial (see above re Debitum Pastoralis). Despite the Archbishop’s proved innocence of heresy, the influence of the Jesuits was so great that they persuaded the Pope to issue a secret brief suspending and deposing Archbishop Codde. Neither the names of his accusers, nor the charges made against him, were ever made known to him, nor was he permitted to offer any defence. This created a breach which was never healed, though Pope Clement XIV was favorably disposed towards the grievously wronged Church of Utrecht. We believe and maintain, as we have always done since 1691, that these irregular proceedings against the Church of Utrecht, based, as they were, upon charges which were proved at the time to have been groundless, were null and void and in direct contravention of the privileged rights of the See of Utrecht for immunity from prosecution outside her territory. Add the uncanonical actions of Pope Pius IX in 1853, again contravening a privilege granted the See of Utrecht in 1145 re the election and thus appointment of her own Bishops and despite the majority opinion being in our favour of Canon lawyers and academics. Thus it is that we have remained, and are still in actual technical fact, and not according to any fanciful or far-fetched theory, a continuation of the Roman Catholic Church.